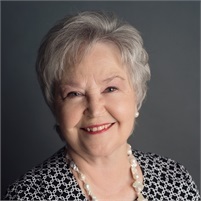 Carol has been with Clarity Financial Group since 2009. Before that she worked other insurance and financial planning firms and has a great deal of experience with life insurance. Carol and her husband Patrick live in Ft. Worth. They have two kids between them and two grandkids as well. In her spare time Carol enjoys working on her art projects which include painting and pottery. Carol not only helps with scheduling and client account issues she is our go to for most insurance cases. Drawing on her years of experience and her great communication skills she is an incredibly important part of our team.